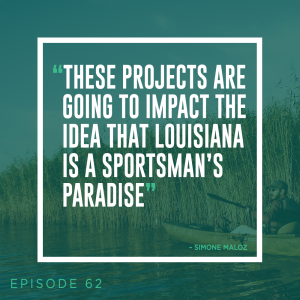 This week on Delta Dispatches hosts Jacques Hebert and Simone Maloz sit down with the executive director of the Lake Pontchartrain Basin Foundation (LPBF), Kirsti Trail! They talk about the history of LBPF, saving the lake, and what the organization does for coastal Louisiana. Later in the show, Erin Brown of Vanishing Paradise stops by to talk about her busy week in the Sportsman’s Paradise.